When you think of the design hubs of the world, Australia doesn’t immediately spring to mind. Perhaps France and Germany but Australia? 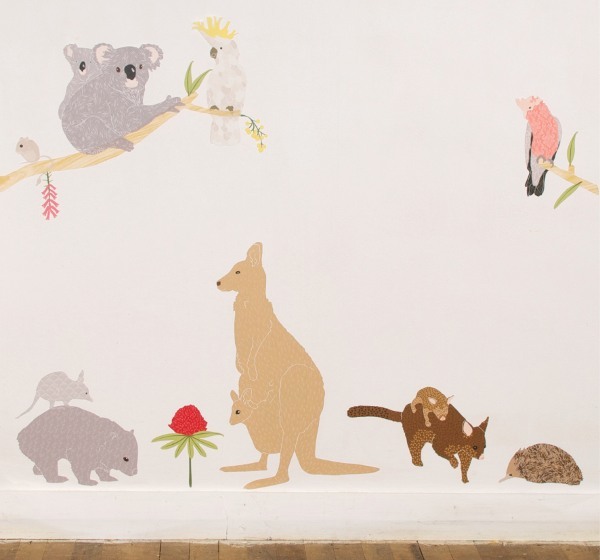 It might be geographically remote but Australia is brimming with homegrown talent in children’s design, from furniture to fashion and decor to shoes. 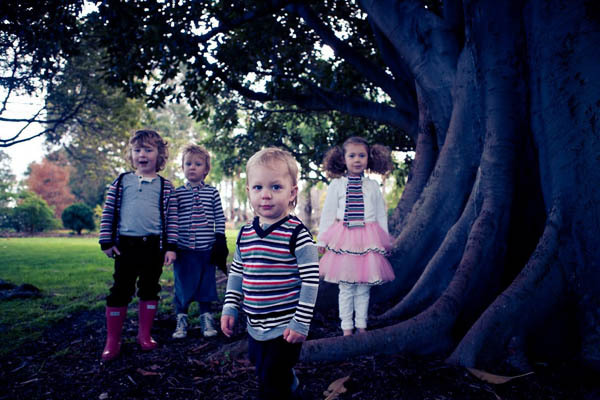 Premier Aussie children’s blog Babyology showcases the best of the best right here. Melbourne parents Natasha and Daniel Dumais are the wonderduo behind Ubabub, creating the eye-catching cots themselves when they couldn’t find nursery furniture to suit their oh-so-modern tastes. Their Cot Pod (above) is wowing international audiences of the highest design calibre with its flouting of traditional cot conventions. Parents are loving the contemporary aesthetic of Ubabub, which beautifully adapts mid-century design in its Nifty model (below), available in timber and clear-sided options. All Ubabub cots have high and low mattress positions to accommodate both newborns and older babies. Optional conversion kits turn both cots into junior beds when babies become toddlers. How Nifty is that? 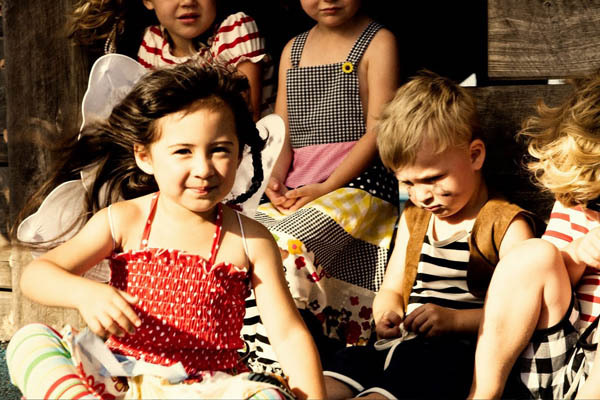 Emma Strybosch, the Melbourne designer behind Knuffle Kid, creates stunning original fabrics for each new collection. The theme for summer is ‘Aloha Hollywood’ (above) – there’s a dash of glamour, divine original fabric patterns and pieces just right for lounging under the cabana, poolside. Favourites are the contrast pocket shorts and the super cool Summertime Tee, printed with pineapples and hibiscus. Inspired by indoor games and Enid Blyton, the 2010 ‘Rainy Days’ winter range (below) features board game prints and the exceptionally beautiful Moonface cape. We also love the Frances long-sleeved tee with its jaunty patterned silk tie at the neck. The thing we love most about Heavenly Creatures – apart from the fact that the clothes are made right here in Australia – is that for all the dreaminess of their designs, these are clothes made for play so your little pirates and fairies can run amok while maintaining perfect style! Designers Heidi and Kelly incorporate vintage fabrics in each season’s collection. This summer they’re serving up sassy pirate stripe peasant tops for girls and pirate grandpa tees for boys to little retro shirred numbers featuring dots, spots and florals (above). Winter 2011 (below) will be a treat with Narnia-inspired clothing – beautiful knits in the finest Merino wool, fancy skirts with layer upon layer of frothy tulle or ruffles and stunning dresses. Gorgeous bean bags, wall tiles and decals, height charts and various styles of bags, have been thrilling parents and children alike since the launch of Cocoon Couture and its recent offshoot Monster Couture. 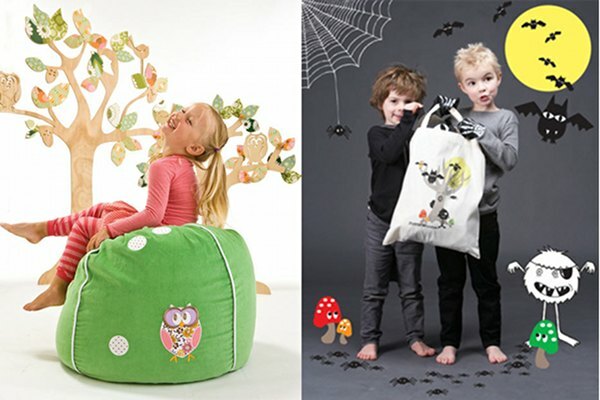 Cocoon Couture is famous for its signature bean bags featuring appealing critters and its stunning wooden trees which have also been released as a wall decal. 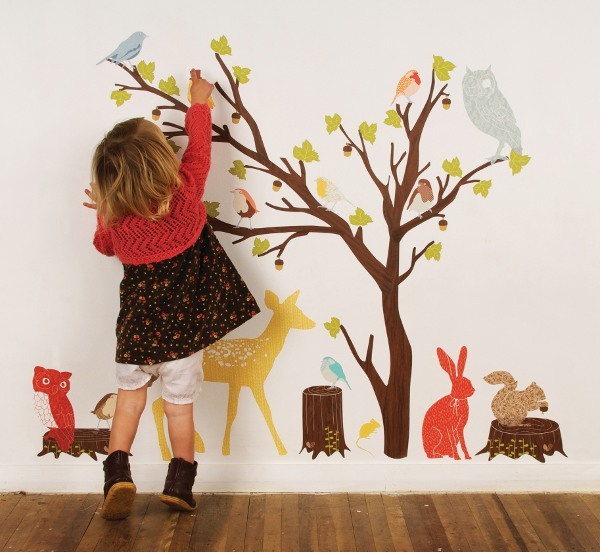 Love Mae make reusable fabric wall decals which are unbelievably resilient. They are removable, reusable, can be twisted into a ball and will easily come back to life ready to be reapplied to the wall. So if any little hands decide to have a bit too much fun with them, they aren’t bound for the bin. They are also washable (wow!) and will never damage your walls. You’re looking at the very latest release designs which feature Australian creatures and forest critters. Designers have tended to stay well away from Australian-themed designs but we’re seeing a comeback! Clothing favourite Eeni Meeni Miini Moh also have lovely soft toys and rag dolls in signature muted tones (think mushroom, blush, eggplant and steely blues). 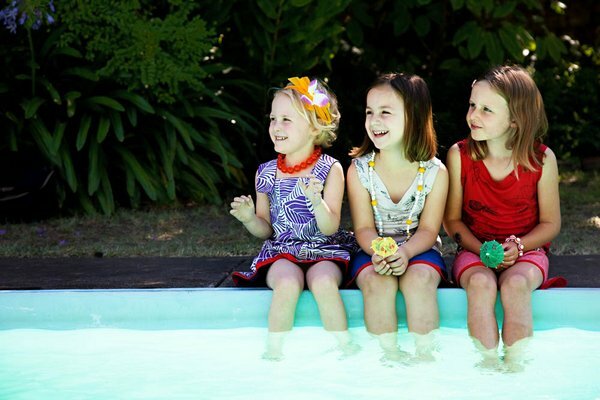 Its newborn and zero to five outfits have achieved cult status in Australia and the brand has recently launched e3-M, a clothing line for children aged two to twelve. The sleepwear and underwear collections are exquisite. Consistently high quality, deliciously soft fabrics and timeless designs characterise this favourite Australian brand. Strikingly contemporary in design, the roots of Bholu’s creations lie in a two-year residency in India by its founder, Australian Jodie Fried. 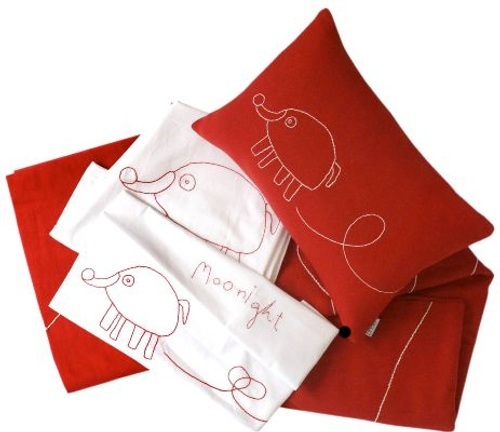 The brand employs Gujarati women for the ethical crafting of these delightful homewares. Production methods support needy communities and designs are inspired by the drawings of children in India, incorporating textures found in textiles from that region. The collection includes bedding, wallpaper, cushions, toys and rugs. Equally as heartwarming as the Daisy Lane range, is the story behind it. We owe the revival of this art style to Lark creator Allison Jones, who on a visit to her local vintage shop, fell in love with a Sue Adams creation. 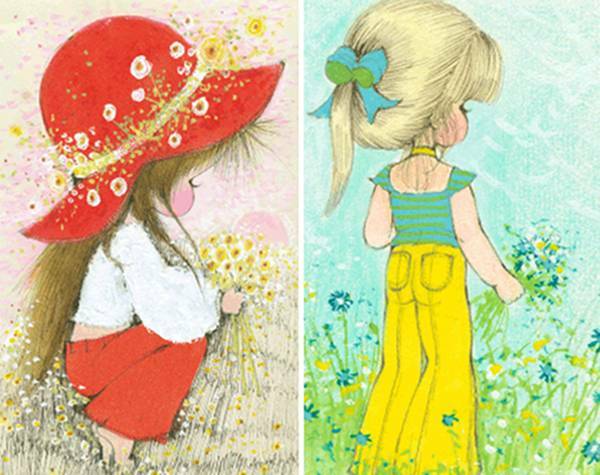 Sue illustrated greeting cards for Phil Taylor (Australia’s oldest family-owned card company) during the ’60s and ’70s and the images became iconic. Allison discovered that a massive archive of Adams’ work existed and collaborated with the Taylor family to reproduce the images for this stunning range of homewares and stationery. 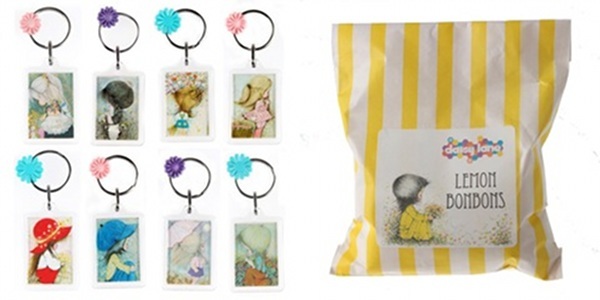 The collection features swap cards and albums, key rings, badges, mirrors, letter-writing sets and the most gorgeous retro-packaged sweets for a stylish treat – buy from Lark. Stephanie Schell is a Sydney design dynamo whose collections never fail to leave expectant mums exclaiming with enthusiasm. Schell rises to the challenge of making garments which last through pregnancy, allow for easy breastfeeding and can be worn long after baby arrives. Fabulously flowy and cinched in all the right places for expectant and post-partum mothers, this summer will see us in marvellous floor-length Maxi dresses, one-shoulder Grecian goddess evening wear, tailored shorts and pants, and multiway wraps. Rather than ugly layering or folds, the garments incorporate subtly-placed zips and hidden panels to facilitate breastfeeding. There is no reason to feel frumpy when growing, nurturing and raising babies – Stephanie Schell fashion is up-to-the-minute and on-trend, allowing mums to reject the traditional maternity fashion options. Gone are the days of durable but boring children’s shoes. Shoes should be fun and playful so kids want to wear them and, of course, well made and durable so parents want to buy them. 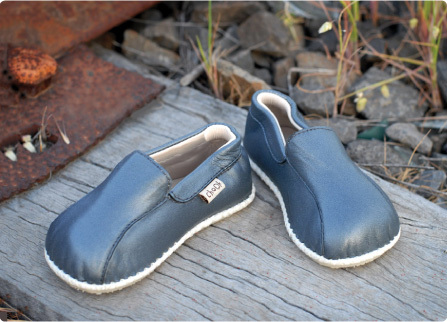 Chook Leaf make simply stunning shoes for girls and boys that are sure to turn heads! The Chook Leaf range of children’s footwear is hand made using beautifully soft and bright leather for both the upper and inner shoe, with non-slip rubber soles so your children can run around and climb safely. Sizes run for little people as small as nine months to bigger girls and boys aged up to ten. The proof is in the pudding and the designers we’ve showcased today certainly place Australia as an up and coming force in the children’s design world. The old cultural cringe is gone, replaced by a modest confidence in Australia’s design credentials!